Naqsam il-MUŻA, a MUŻA outreach initiative by Heritage Malta in collaboration with the Valletta 2018 Foundation and Malta Freeport Terminals Ltd., is now in Birzebbugia. Naqsam il-MUŻA is a project which shares the community’s choice of artefacts from the national collection in localities around Malta and Gozo.This project is now in Birzebbugia, in collaboration with the employees and management of Malta Freeport Terminals Ltd.
Naqsam il-MUŻA has served as a group dynamics exercise for the participants, who come from different departments within the Malta Freeport including Operations, Marketing, Ship Planning and Container Control, Human Resources, Investigations and Surveillance, Health and Safety, Mechanical Engineering and Electrical Maintenance. Each participant was given the opportunity to select an artwork, present it to colleagues, friends and family, and showcase a reproduction of their chosen artwork at their workplace and in community spaces of their choice. 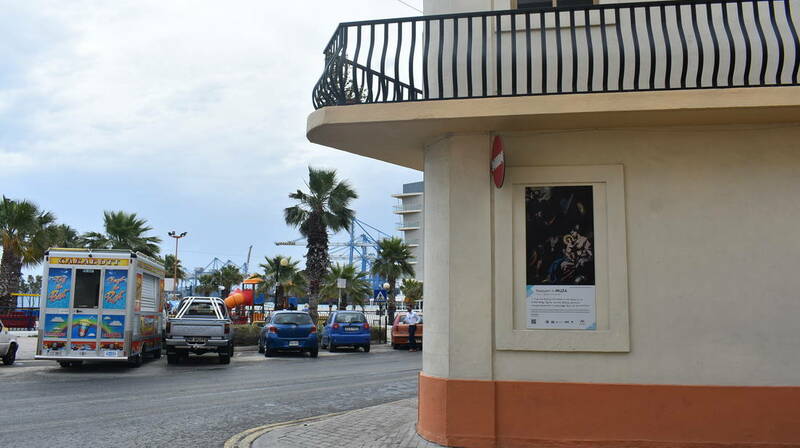 Five of the ten reproductions will be installed at the Freeport premises, four will be shared with the community of Birzebbugia at the Local Council, the Primary School, the Parish Hall, and the Boys’ M.U.S.E.U.M. and a final one will be on the seafront opposite Pretty Bay. This is Naqsam il-MUŻA’s second experience to collaborate with a working community, the first being at the University of Malta where the common factor that united the participants was their job and their studies on campus. This particular edition presented the choice of eight participants, namely a student, a recent graduate, the Pro Rector for Student and Staff Affairs and Outreach, an academic librarian, a senior IT specialist, a senior beadle, a precincts officer and a barista. The selection of artworks, including comments by each community member, is installed in different locations on campus.